It was in the province of West Java where Indonesia first made significant contact with the outside world, beginning with traders from India, later with Europeans. It was also from here that the Dutch started the colonization of Java in the sixteenth century, and later moving to other islands of the archipelago. Today we can still see fortifications at Banten, remnants of the first strongholds of the Dutch. Later on Batavia, now Jakarta, became the capital of the country. Jakarta is the commercial and bureaucratic centre of Indonesia. In the seventeenth century the Dutch settlement of Batavia was built around the port of ‘Sunda Kelapa’. Batavia was laid out like a city of the Netherlands, with small streets along canals; This soon proved to be the wrong approach for the tropics, as the canals were the source of many pestilent diseases. In the old town ‘Kota’ of Jakarta we can still see remnants dating back to the seventeenth and eighteenth centuries. 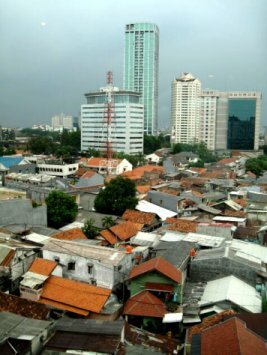 The city developed rapidly, especially in the beginning of this century, as we can still see in the Menteng area. The most rapid development was after independence, when Jakarta exploded from a population of 900.000 in 1945 to 12 million people in 1999. The metropolis of Jakarta is the most polluted and overcrowded city of Indonesia. Yet as the commercial and cultural centre of the country Jakarta has much to offer in the way of culture, museums and night life. Jakarta is a city of many small villages, sometimes described as a ‘huge steamer in a sea of kampungs’ (villages). 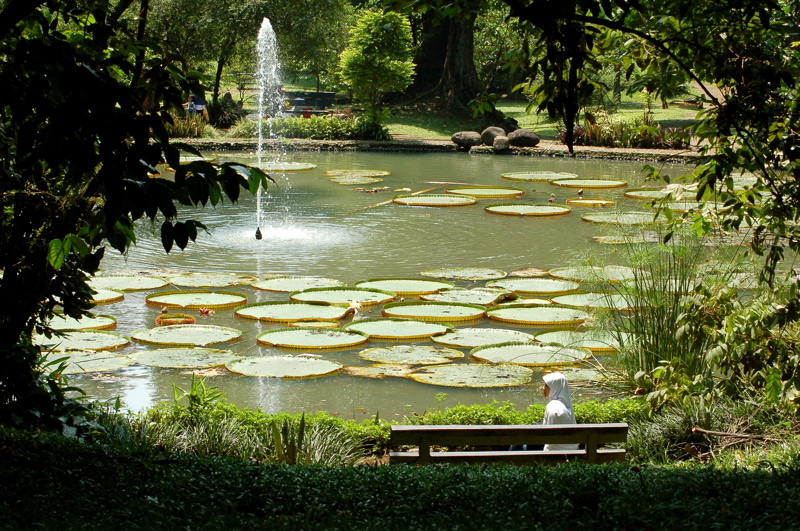 Besides the natural beauty of West Java itself, one of the main attractions of the area is the botanical gardens at Bogor. If you prefer to leave the hot temperatures of Jakarta, ascend the famous, fascinating, winding Puncak Pass, lined with beautiful tea plantations, to arrive at the pleasant hill resort of Bogor, once a residential area. The cool hill climate of Bogor was selected by the Dutch as the site of ‘Buitenzorg’, the country residence of the Governor General. The Istana Bogor (Palace of Bogor) was built in the mid-nineteenth century, overlooking the beautiful Botanical Gardens. Today the Botanical Gardens ‘Kebun Raya’ (Great Gardens) are the most important centre in Indonesia for botanical research. 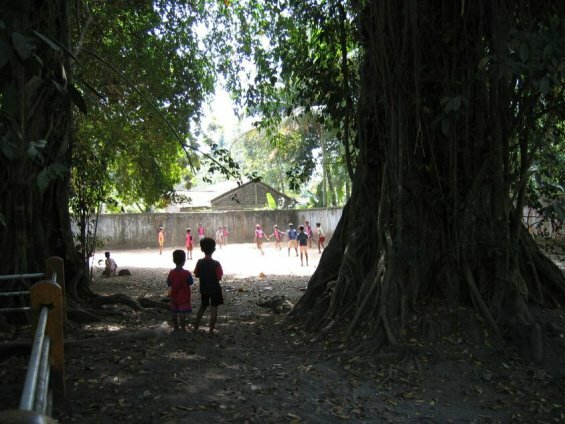 Many crops like rubber, tea, cassave and tobacco, were developed here and later planted on a larger scale on plantations of Java and Sumatra. Strolling through the nicely laid out 80 hectares ‘Kebun Raya’ will afford you a fine view of the Palace, with its famous white deer grazing in the presidential gardens. From Bogor eastwards you will pass the city of Bandung, the capital of West Java and the third city of Indonesia. At an altitude of 700 metres, the city of Bandung is in fact a relatively new town, established in the second half of the nineteenth century. From an architectural point of view Bandung is one of the most interesting cities of Indonesia. One can still see much of the architecture of days gone by, especially colonial architecture in art deco style. One of the most famous examples is the Savoy Homan Hotel, built in the second decade of this century. The most beautiful train ride in Indonesia is the line between Bandung and Jogyakarta. The fine panorama of lovely Javanese landscapes, rice terraces and impressive mountains during this trip, are breathtaking. The round trip takes around ten hours travel in comfortable air conditioned executive class coaches.